A am an East London girl, but I have to admit that when it comes to grooming, my personal style leans towards the West End ladies who are a little more refined. I always like my nails done, skin glowing, and perfect hair which is always slightly deconstructed. Manicures are a must and Made In Chelsea star (and the most stylish of the show) Rosie Fortescue has got this look Nailed. 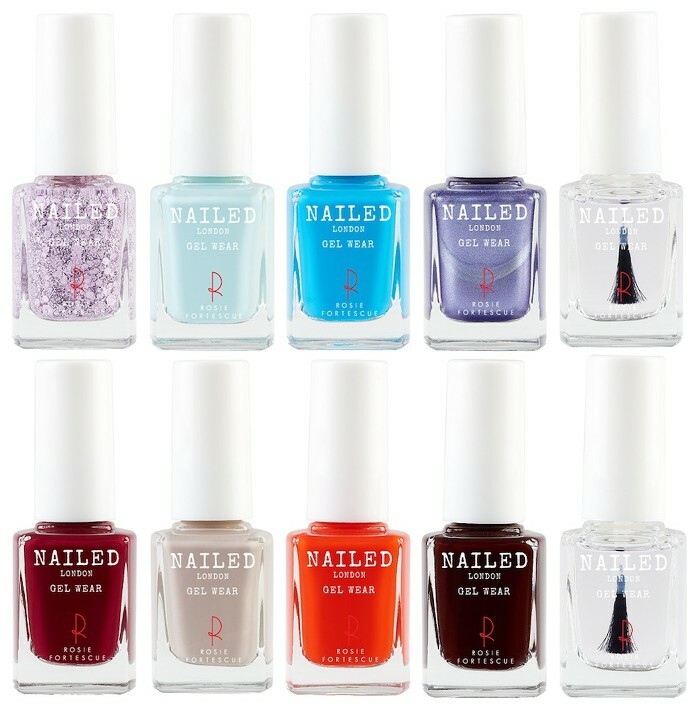 She has teamed up with Nailed London to create a line of 28 luxurious nail polishes from nudes to darks, glossy, matt, gels, and glittery topcoats will let you mix and match as you please. For an inexpensive brand associated to a celebrity that I am not the biggest fan of, I have to say that I was really surprised how nice these are. The colours are fun and cool, and there is a gel top coat which will make your polish look shinier and last longer. It’s a great way to get a home manicure and pretend you have the MIC lifestyle.